Geospatial Network Inventory (GNI) is a system of geospatial inventory of telecom resources intended for the operators who construct, develop, and maintain their network infrastructure. The solution provides a set of functionalities for the network elements inventory and processing. In conjunction with the product Ksavi Network Operations it enables the execution of operator’s processes related to the network infrastructure management, among others, such as development, cost estimation, service delivery, maintenance, infrastructure leases. 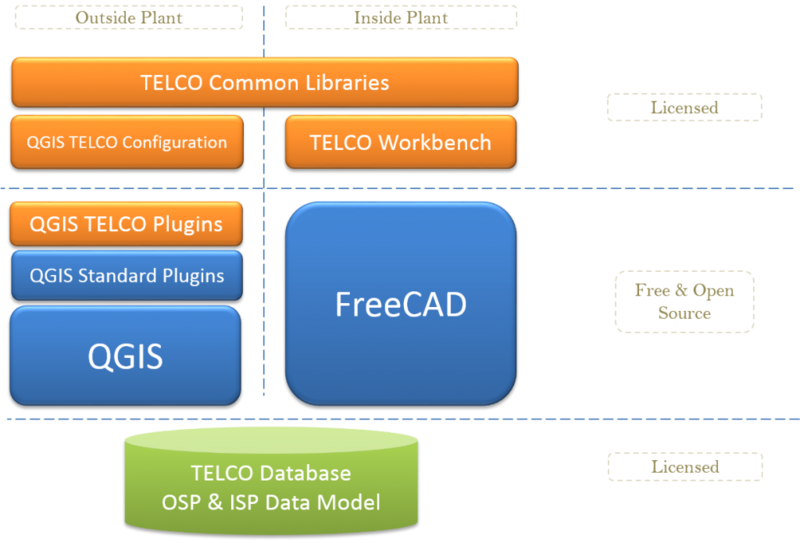 The application architecture is based on the QGIS geospatial platform and FreeCAD system. 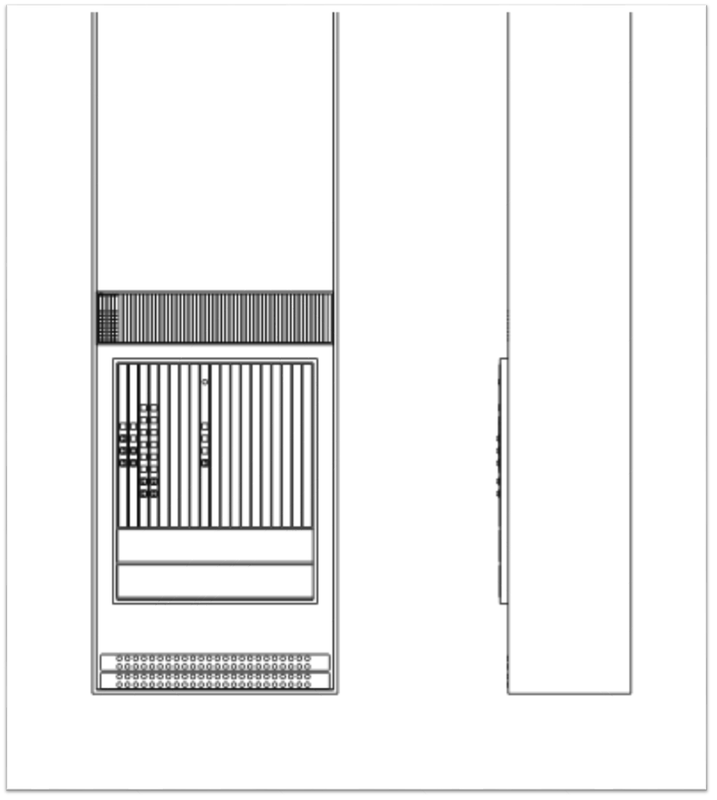 Thanks to the comprehensive GIS and CAD interfaces and using a great potential of those environments, we have created a product that fully meets the requirements of a modern telecom operator. A central database enables storing information about any network element. 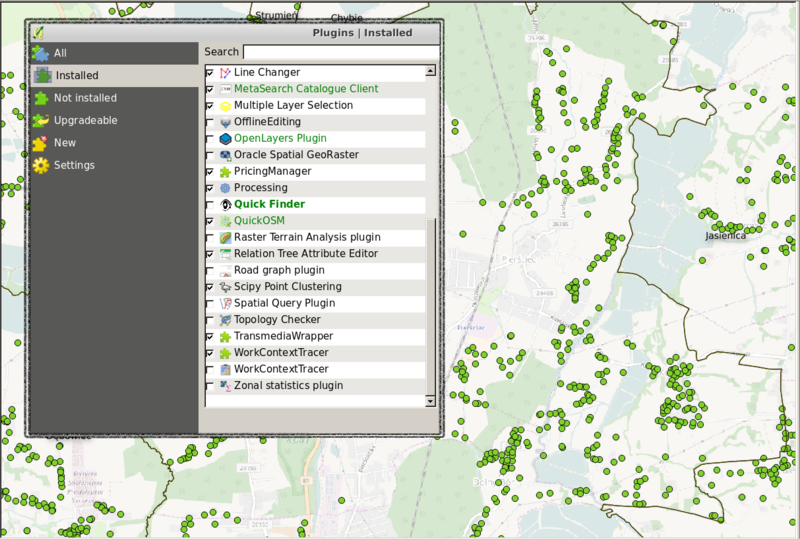 A set of standard QGIS plugins in conjunction with dedicated components created for the TELECO sector provides easy management of the network in any state and the execution of the reporting requirements imposed by the regulatory authorities. 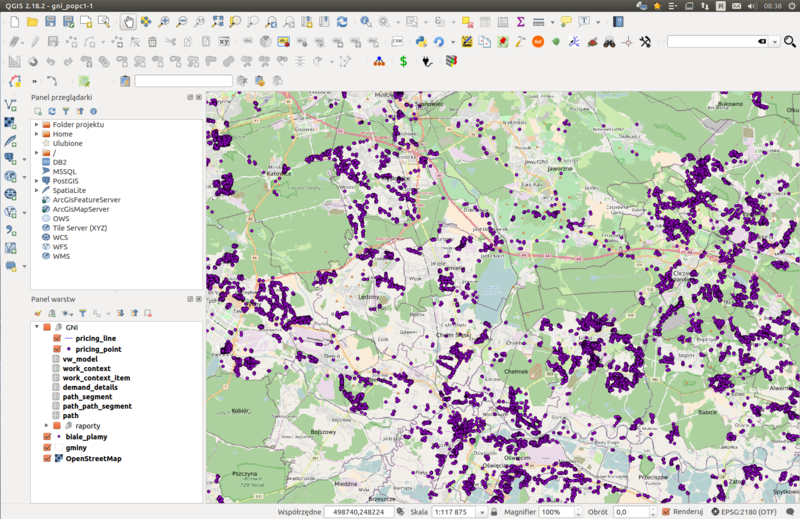 Using the license rules for distribution of the QGIS platform in force, our Geospatial Network Inventory software is offered in a completely free version, as well as a commercial solution. This allows you to become familiar with its environment and successfully use the system with planning functionalities provided in the free version (GNI FREE). You can expand your system at any time with additionally paid modules according to your specific requirements. A description of the applications of the free and the commercial versions is shown on individual pages describing the use of the product for different solutions in the TELECO sector. Lack of licensing fees, ability to extend functionality with one’s own needs. 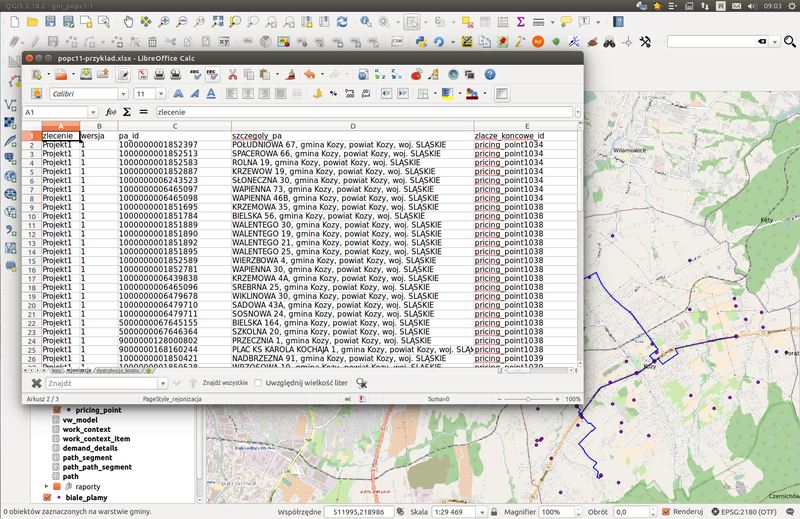 Standard installation of QGIS is enhanced with the set of plugins selected from the publicly available repository. Distribution of the Geospatial Network Inventory tool is additionally supplemented by our own plugins that provide functionalities specific for the processes realized on a telecommunication network. 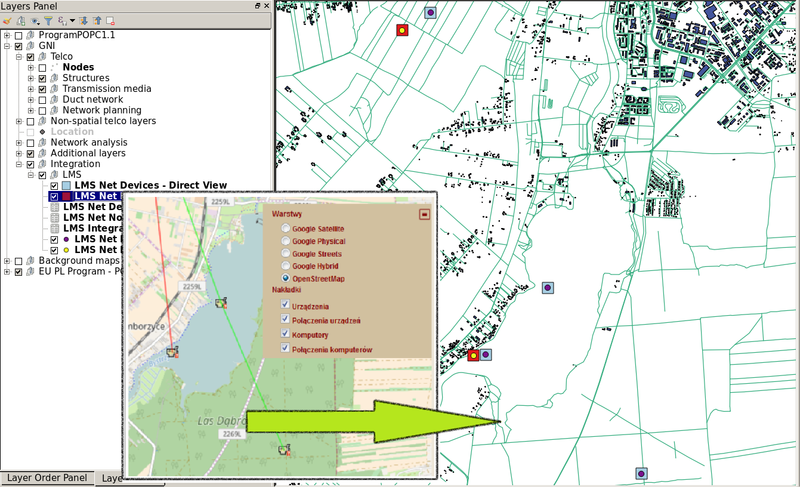 The plugins that require additional data layer to work complement the QGIS configuration with necessary relations, forms and definition of map symbols. Connection Manager – A module for managing the connections between the elements of the transmission medium and ports of the devices on which the cable is terminated. It allows you to store splices and pluggable connections between the network devices both on the outside and inside plant networks. Duct & Cable Placer – a dedicated component introducing to the geospatial inventory of cables and ducts elements related to their internal organisation allowing, among others, the detailing of duct network with main conduits, subducts and microducts and also automation of blowing and pulling cables. Schema Generator – a module used to visualize the network state in the form of schematic drawings. It allows, among others, generation of fibre splicing schematic with fibre colours, allocations and terminations in splice closures and other nodes of optical network. Path analyser – additional layers and components related to searching for the available optical paths and their analysis thereof, among others, in terms of attenuation balance. Network planner – A set of plugins and algorithms for performing the technical concept of the planned FTTH/GPON network. 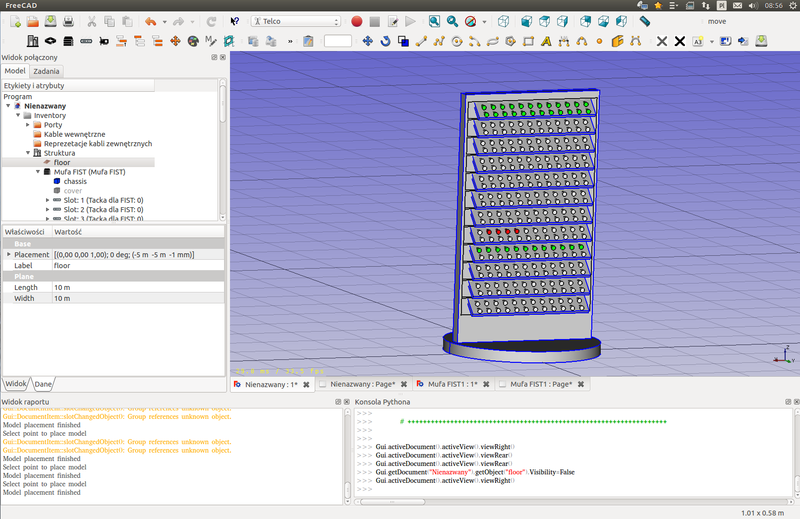 The component is part of the free version of GNI system. 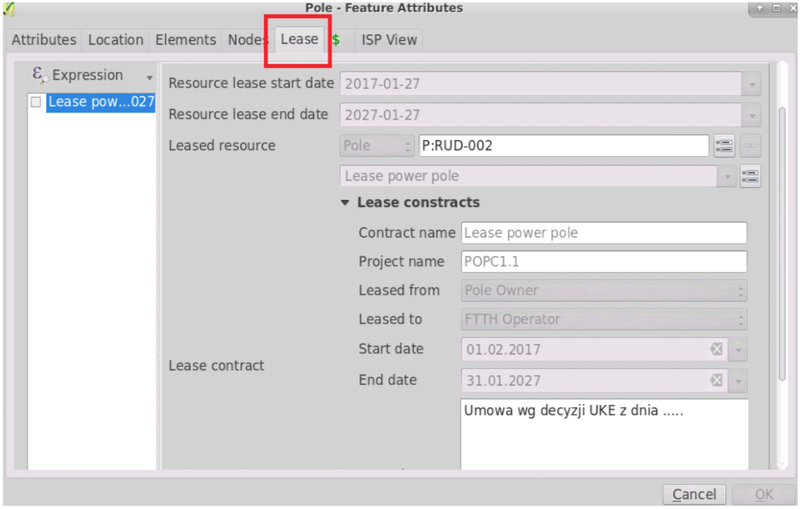 Lease contracts – An addition to the data model used for keeping information of lease contracts and their connections with leased infrastructure components. The proposed solution has extended possibilities of integration with other IT systems regardless of whether the software works in the cloud or is installed on customer premises. The database engine used in the server version gives great opportunities for the use of multiple proven integration technologies.